When making a workers compensation claim, you are generally free to choose to be treated by your own doctor as opposed to a doctor that is assigned to you by the insurance company. However, during the WorkCover and claims process, you may be required to undergo an independent medical examination (IME’) that is arranged by the insurance companies. The purpose of this examination is to assess your condition and determine if you are capable of returning to work or if your injuries are as serious as you claim to be. But why does the idea of attending an IME make so many people nervous in Queensland? And why is there so many “horror stories” on the internet from injured people in Brisbane, Gold Coast, Cairns, etc. concerning their experiences with an IME? It is very clear though that this medical examination is far from ‘independent.’ It is important that you know the bias that inevitably comes from this type of examination. Most likely, the IME doctor will be looking for any evidence that the insurance company can use to limit or stop your claim. Honesty, preparation and a little organization are the keys to properly attending an independent medical examination and making sure that there is a minimal effect on your claim. This is possibly the most important point that can ever be made when attending an IME. The doctor will be looking for ways to discredit you. So it follows that trying to exaggerate, lie or fool the doctor in any way will most likely be noted and used against you in the IME report. Do not fall into this trap. Some claimants may be nervous about their appointment and feel that they may need to ‘sell’ their injuries for the doctor to take them seriously. This is a mistake and can critically affect your claim for compensation. Most likely, once you step into the medical office, you will be observed for every little detail about your physical capabilities. Any contradictions will surely be noted. The best approach is to just be consistent and attend your IME in the same way that you would go anywhere else. Wear comfortable clothing and bring along any medications or assistive devices that has been prescribed to you for your work injury. Attend your appointment as naturally as you would if you were going to the store or if you were going to visit a friend’s house. Be polite and courteous to the doctor and his medical staff. #2) Consider asking someone to accompany you to your appointment. When you are injured after a work accident, a little bit of moral support is always a good thing, especially if you are traveling to busy medical offices in Brisbane or the Gold Coast. Bringing someone along also has the added benefit of having someone to be a witness in case the IME doctor is acting rude or intimidating towards you. You can explain to them ahead of time why you are going to the IME and what you would like them to do. It is helpful that they note the time of the beginning of the exam, and the time that it ends. If there is anything mistaken or inaccurate on the report (e.g. if the doctor says you can walk fine, but your friend clearly had to help you with doors, getting out of the car, etc.) then they may also be a good witness for those details. It is most likely that your friend or family will not be able to accompany you during the actual examination. However, it is important to take note yourself on what questions the doctor asks you and what tests they perform, as well as how long those tests exactly took. During the examination, the IME doctor will ask you questions about your injuries and your medical history. It is important to differentiate between which questions to go in depth, and which ones to keep ‘short and sweet.’ Be honest. If there are details you are unsure about, just tell the doctor that you do not know. Do NOT make something up. 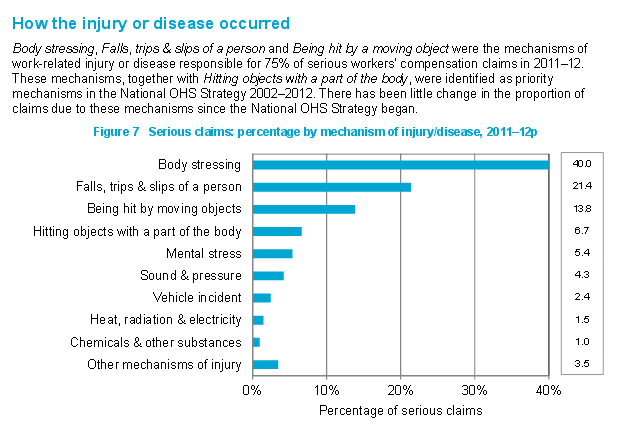 Be very detailed about questions concerning your work injury and your symptoms. Make sure you tell the doctor ALL of your complaints and symptoms of the injury including pain, where on your body you are feeling that pain, and what your injuries restrict you from doing with respect to your job or daily life. If you have any medical reports or other information about your work injury, it is also helpful to bring those documents along in case the IME doctor does not have a copy himself. Any questions that are unrelated to your work accident should be answered briefly and to the point. Do not provide lengthy details that are unnecessary to your claim. For example, the doctor may ask you what your home routine may be after the accident. Explain to the doctor what activities are restricted because of your injury, but do not go into depth on every little thing that you do in the house if you are not specifically asked. Do not worry about the result of the examination. Chances are that in one way or another, the report will come out against your favour anyway. Instead, focus on remembering the details of your accident and ALL of your symptoms and complaints from your injuries. The concept of attending an IME can be intimidating, especially considering the fact that most workers are aware that the results will be skewed against them. However, an experienced personal injury lawyer is professionally trained to make the best legal argument possible to help protect your rights to compensation and mitigate the results of an IME report. Our accredited specialists in personal injury have experience in both plaintiff claims and also previous experience representing insurance companies in insurance defence law. What does that mean to you? Our lawyers have practical experience arguing ‘both sides of the field’ and know how the insurance companies think and approach your claim. This can be an invaluable benefit to being properly represented in your claim for compensation. If you would like more Information on how we can assist you, contact us today by filling out our case review form or giving us a call: 1300 720 544.